I've been thinking about that bottom side scoop as well, maybe next spring. 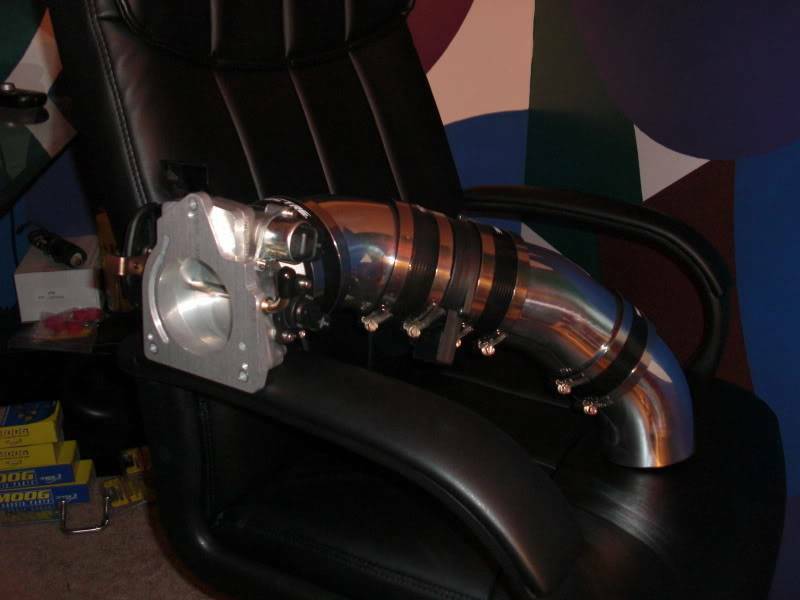 Have also been contemplating modifying my SS intake on the end. The tube is 3.5" ID, but narrows to 3" right at the end to fit in the FW opening w/o having to enlarge the hole. I don't like the idea of the end being 3", and may look into having it cut and redone to 3.5" all the way. Wouldn't have to enlarge the opening quite so much to fit a 3.5 thru there. i was wondering. i can't find a IAT on my car. i have a 97 but when i bought the car the kid already had a short ram PVC intake. i looked around the engine bay and couldn't find any sort of sensor or electrical wires. is it possible that i don't have one? maybe it only goes off of the MAF but that would make sense since the MAF measures velocity and not temp. There is an IAT somewhere or you'd have an error code. The engine needs an IAT. It should be down around where the stock airbox used to be. Yeah, it comes out of the wiring bundle in the stock airbox location. Maybe the guy tucked it out of sight, dig around a bit. I had a gutted airbox and decided to go FWI. I went to PEPBOYS and got a SPECTRE 4in. flex tube and reducers, and an APC woven stainless cone filter. The install took less than an hour although I had to remove my horn to get the filter to fit. The trickiest part was figuring out how to mount the IAT in the flex tube. I cut a small slit in the tube, pushed in the IAT and RTV to seal it up. The sound is fantastic and the free flowing filter makes a difference in acceleration. I also used packing foam to seal the airgap around the tube where it goes into the fenderwell and that open triangular hole behind the place where the stock airbox used to be. Next on my list of improvements are: AL 104s, new O2 sensor, headers, a 3.4 blower pully, an INTENSE reprogrammed PCM, and an AEROFORCE INTERCEPTOR SCAN GUAGE mounted in the door. 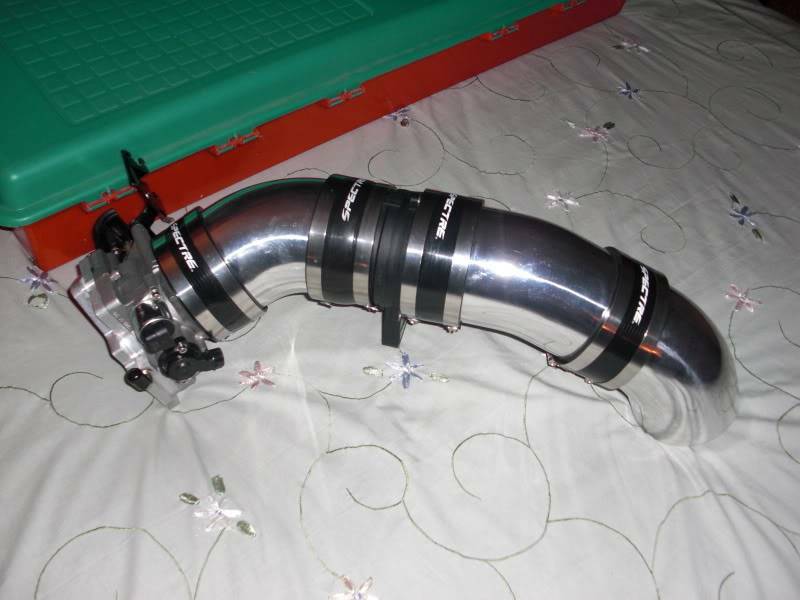 Other mods for later down the road include: Ported Blower and Manifold, Northstar TB kit. I just love taking such a great car and making it my own. Good idea with the foam, as long as it stays put. 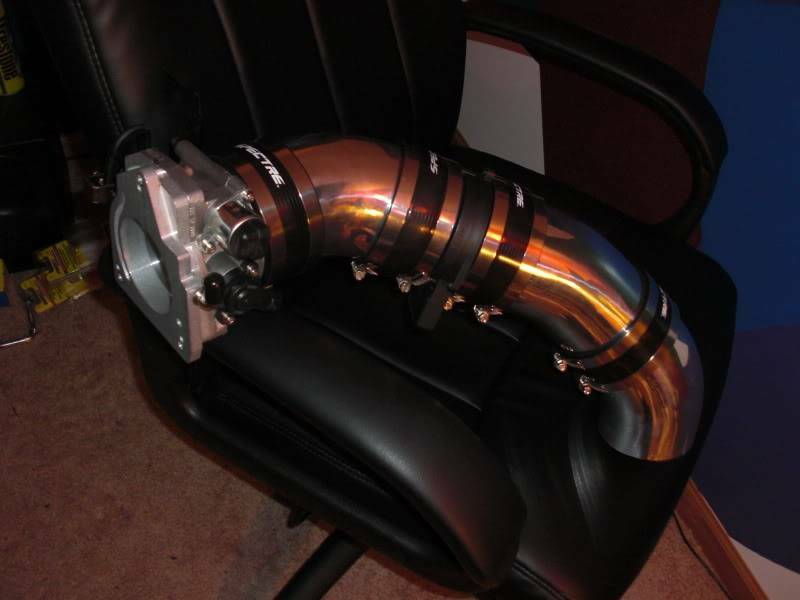 Hopefully it blocks some of the EC heat from getting into the intake. That was the idea behind it. I have it jammed in pretty well, I don't think it will move. i have not readed through all whats writen here but...ishould give one good tip. when you change th intake. and are starting 2 replace the air temperature sencor. 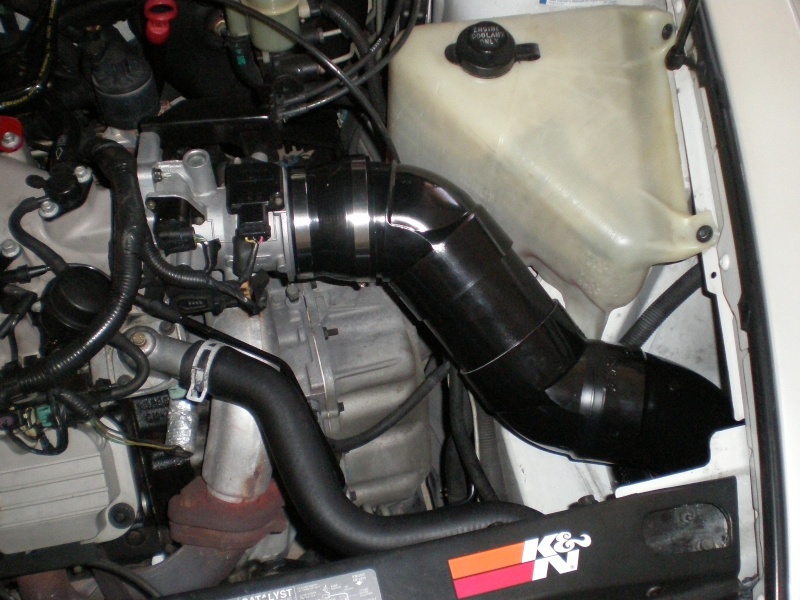 then be sure it dos not stay tirectly in the intake pipe as i see on the 1st pictures. the engine will keep sucking air in..and cos it gets air easely. it will cool down the ait sensore. and the engine will think its cold out there(specialy on winter times). and cos of that your engine will start to take more fuil. thats what happened to unos car. whe had to install the sensore in one of the cars intake 'sound muffler chember'(not sure it its the right name)...when it was there...it wasent directly in intake air flow and did not cool down. i did the same on my car. and it takes gas normaly. not more when it did befor the change. 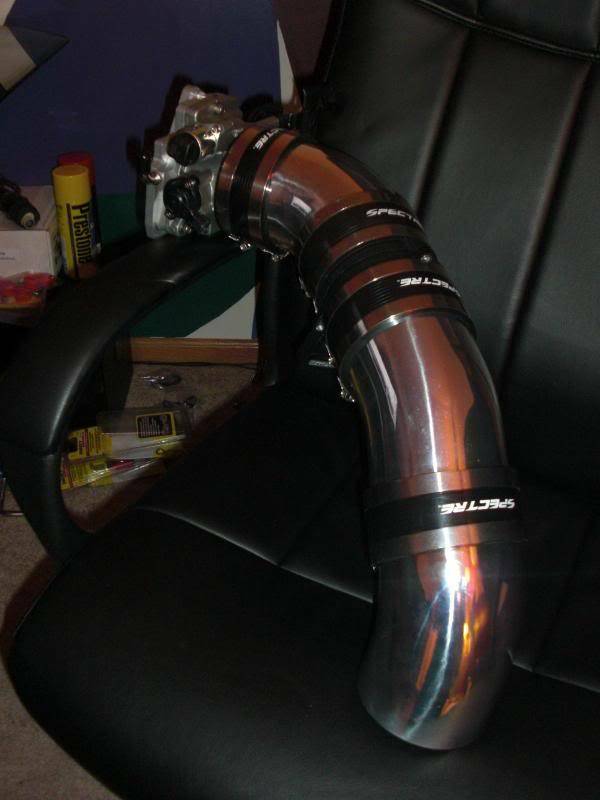 well so better check out your intake mods. and when it did take more gas after the change...then the problem could be just in that small air temperature ssensore what cools to much down. I'm not certain this belongs here but this is another option for a FWI. The northstar TB and LQ4 maf sensor doesn't fit my current 3" PVC intake too well so I'm building yet another one and I wanted to try something different. This is a bit less economical than PVC but I guess I wanted to splurge a little bit. This is the blind mock-up. I have a bunch of extra parts not even seen here so I should have it all done tomorrow with a list of part numbers and such for anyone that may want to build something like this. 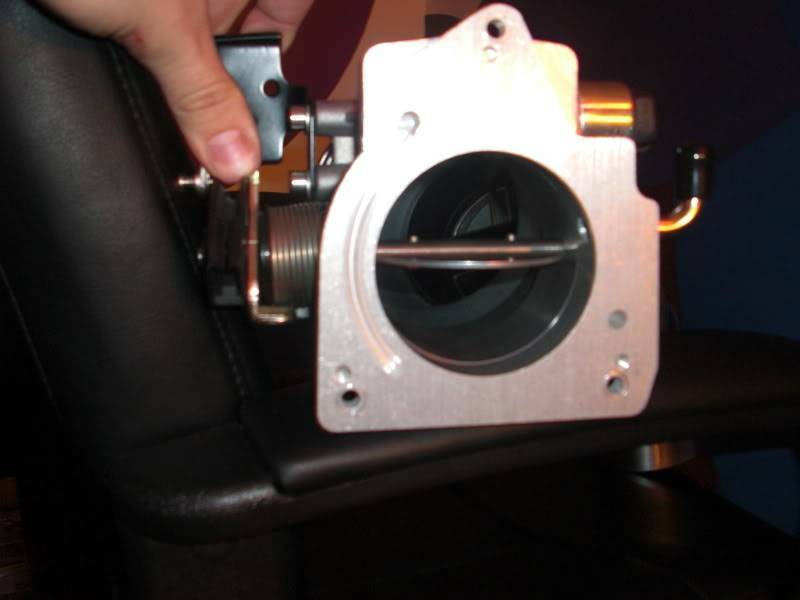 The northstars throttle plate is 75mm which is almost exactly 3in however, the main opening for hte throttle body where you have to actually attach an intake pipe to is something more like 90mm so this made a lot more sense to me than sticking to the 3" intake. The new maf sensor is an 85mm unit so again, a bit bigger than the 3"
I couldn't get mine to clear the coolant reservoir when i attempted it , I'm not sure if it was a compatibility issue with the year , or maybe i just was doing it wrong. i have a 4" PVC FWI on my 96. took a little more custom work than in the write-up, but it is do-able. i used white pvc from ace hardware and painted it black. Mr.Riviera can you tell me what pieces you used and how to assemble them, becuase i dont want to be stupid and buy something i dont need, and since you have a 96' also it would be best to see how you did it. from what i can recall, i used these parts. black tape to hold the filter on the pvc and HD pvc cement to hold some of the other pieces together. i initially had problems with it coming apart at WOT shifts due to the motor torquing back, but it was b/c i had everything fitting together too tight. havent had a problem with it coming apart since. oh, and i still havent placed the IAT in the pipe. it is connected laying next to the fenderwell. You meant to say " Intake Air Temp Sensor" not IAC. Mr. Riviera, i bought all the pieces that you said and it looks like its going to work great! I bought a 3"-4" reducer, the PVC pieces you said to buy, but i have a few more questions, how long is the straight piece between the two 45* pieces, it looks to be about 6". And is it safe to drive my car around without an IAT sensor, just until i can get a new one? And is it safe to drive my car around without an IAT sensor, just until i can get a new one? Without one, or without it plugged in? You can drive around with it unplugged, as long as its somewhere near the incoming air and not laying by the exhaust manifold or anything I still wouldn't advise doing it for very long though, no sense in risking engine damage. I'm not sure its possible to drive without an actual sensor am i right The engine would freak out? The IAT sensor is tied in with maf , in that it uses the reading from the IAT to guage how much air is flowing in , based on the rate of cooling on the MAF sensor...in a nutshell of course. 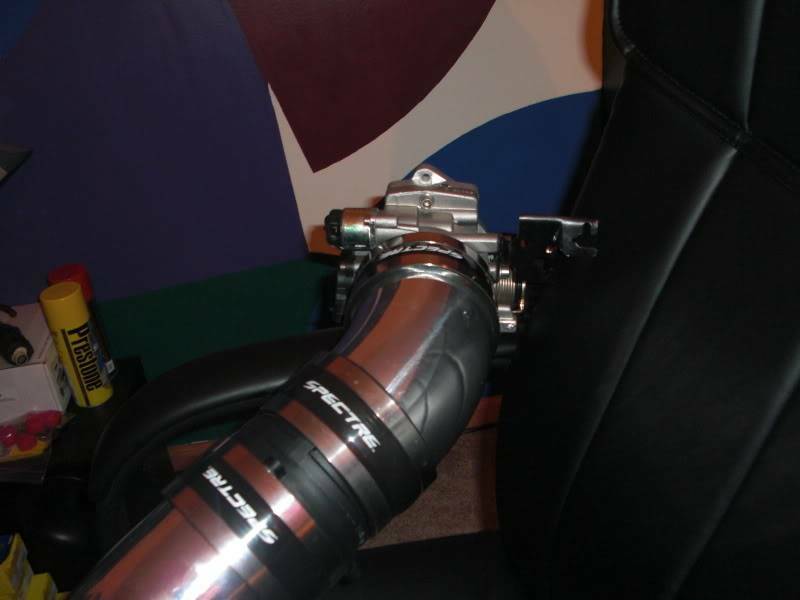 Its best to have it as close to the actual intake source as possible , but its not crucial i don't think , as many run like that with not issues.